~ Raised $250,000(and still growing)in our Golf, Ladies Night Out and Hawaiian Nights Auction- Thank you Teams! ~ Supported our wonderful teachers throughout the year to thank them for their "Be The Good" work with our children. I am happy to share with you thatIsy Milosevichhas accepted the4th grade teaching position. Isy has been a parent at St. Perpetua for 10 years and has worked as an instructional assistant for the past 4 years. She is completing the teacher credentialing program at St. Mary's College and very excited for her new position among our staff. Additionally, I am excited to welcomeJennifer Delaplaneto our school as our newjunior highScience teacher. Jennifer has 12 years of teaching experience in both Catholic and public school in various grades including Jr. High Science. She has taught Faith Formation for St. Pepetua Parish for the past several years and is enthusiastically looking forward to joining our staff. Finally I am very close to completing the hiring process for our new 3rd grade teacher. Once this is finalized, I will share the details with you! Tomorrowis Field Day(see information below) with anoondismissal.Panther House is open7:00 am - 8:00 amThursdaymorning butCLOSEDThursdayafternoon. Friday, students come to school in nice free dress. 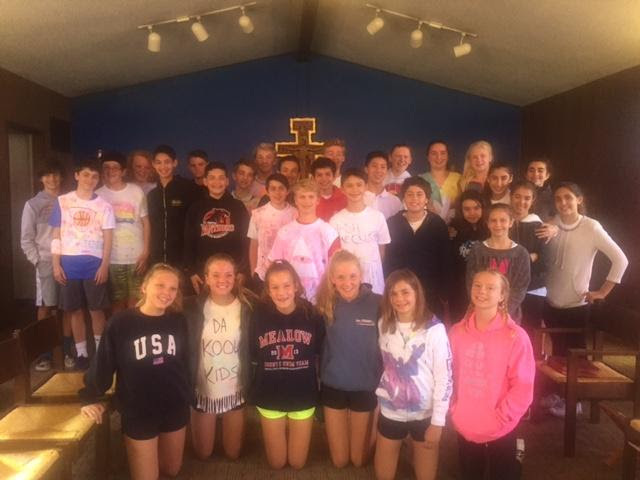 Our 7th graders, class of 2018, will lead us as wecelebrateMasstogether at8:30 am. When Mass has concluded, students will be dismissed to their classrooms to get their report cards and say goodbye to teachers and classmates.Dismissal will be approximately10am.Panther House isCLOSEDALL DAYon Friday. Thank you parents, students and teachers for a wonderful school year! You have truly "BEEN THE GOOD" this year! I hope you have a safe and wonderful summer!! Bless our families as we take our holidays, may our time together leave us with memories to cherish. Pour out your love on us that we may return renewed and refreshed to continue our journey together. We make this prayer through Christ our Lord. 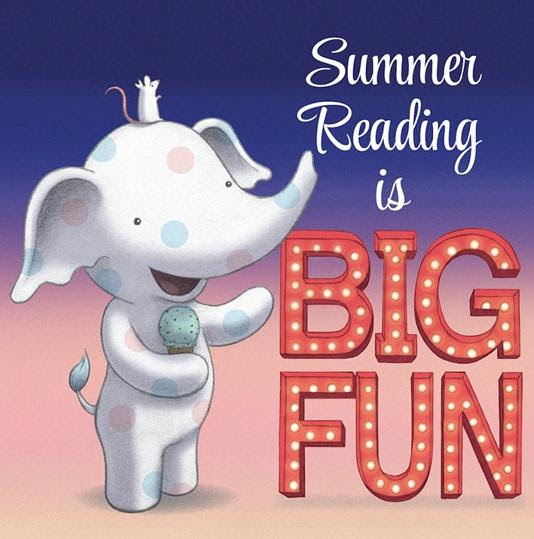 Start Your Summer Reading Program! Last Day to turn in Summer Reading Logs! Yearbookswere distributed today at morning recess to all students who have paid for one.We still have yearbooks for sale, so if you'd like your child to get one, please stop by the office with payment ($35 check or cash) and we will get the yearbook delivered to your child! For your planning purposes,The VNA and LiveScan Fingerprintingwill be here onThursday, August 31stto administer TB tests from7:30 am-9:00 am. OnFridaySeptember 29thVNA and LiveScan Fingerprinting will return to campus.VNA will administer both Flu shots and TB tests and LiveScan will offer fingerprinting from7:30 am-8:30 am. If your child has medications that need to be kept on campus for the 2017-2018 school year, please bring the medications (in their original container) as well as your 2017-2018'Request for medication to be taken during school hours'form(also found on the school website)BEFOREthe first day of school (8/21/17).Please remember that if your child uses prescription medication, you will need to get an updated doctor's signature on the 2017-2018 form. St. Perpetua's Field Day istomorrow! Congratulations toLauren RobergeandJack Flitter, who were nominated by their teachers to receive theLafayette Lyons Club awardfor academic excellence and integrity! Congratulations toJulia Haggerty, Tiki Wackowski, and Elizabeth Wackowski, recipients of the 2017 Ken Nelson Award!This award is given to one player on each 8th grade CYO Basketball team who best represents the values of CYO and Coach Ken Nelson.Each recipient is selected for the award by teammates and coaches based on leadership, sportsmanship, effort/hard work, attitude and respect.Way to go, Panthers! This fabulous year is coming to a close! Can you believe that we are down to last week? It has been a fun year full of learning, sharing and joy. I want to thank all those who shared my year with me and fostered such a positive environment. Since June is such a short month, we are combing the May and June Panther House early morning/ after school charges into one billing cycle. That means you will have no charges in June, but itwill show up in the July statement. As you begin to shift your attention to the fun of summer, and purchasing new sports equipment or action toys, please think about donating gently used items to Panther House for use next year. Things like bikes, scooters, and balls would be greatly appreciated. Summer Reading is BIG FUN! 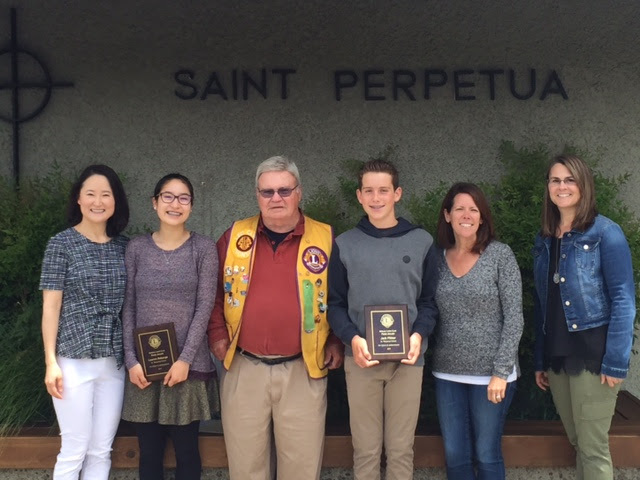 St. Perpetua has a tradition your student won't want to miss. During summer break, all students are encouraged to participate in ourSummer Reading Program. Most of our students participate in the program and enjoy the rewards, when school resumes in August. You won't want your students(s) to feel left out. The program runsduring summer break,June 9th - August 20th, 2017.We offer two (2) summer reading programs by grade level,TK-3and4-8. Summer Reading BINGO cards will be sent home by your classroom teacher and are available on ourschool website. Please make sure to download and complete the proper form for your student(s). Summer Reading BINGO cards are due the first week of school,August 21 - 25, 2017. Extra copies are on our school website, in case the BINGO cards get misplaced, during break. Late entries are not accepted. If you have any questions, contact Mrs. Hinton atshinton@csdo.org. Even during summer break, I will respond to your student's questions. Happy Reading! Order your packaged school supplies throughSchool Tool Box!You can order online and it will be sent directly to your home.Go towww.schooltoolbox.comto order and customize your school supply list.See theflyerfor more information.Deadline for orders isAugust 1st!School Toolbox is anoptional program.If you would like to purchase your own supplies, you can find the class supply listshereon the school website in the 'forms & documents' section. Dennis is having a summer specialonJune 29th-30th. Free shipping on orders over $85 on those two days!Our school code isNDHSTP. Visitwww.dennisuniform.comto order. School outerwear may be ordered online throughGryco Sportswear. If you would like to order outerwear for your student,click on thislink.Orders placed byJuly 21stwill be delivered onAugust 21, the first day of school. Our online Scrip program willnot be activeover the summer break.Thefirst orderfor the school year will be placed onFriday, August 25thand cards will be ready for pick-up on Friday, September 1st. We carry a limited inventory of Lunardi's, Diablo Foods, Cooperage, and Mangia gift cards for purchase in the office.The office is open for the balance of June and reopensAugust 3rd. Be Ready for Fall Activities at School!Are you an 'All Cleared' Volunteer?